A new boutique law firm has opened in Mexico City under the name García Mingo & Tejedo Abogados. 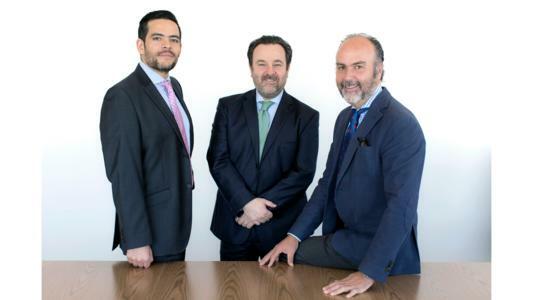 The firm is headed by the founding partners Alfonso García-Mingo, Juan Tejedo and Carlos Acle, formerly partners at Creel Abogados. Operations commenced in July, with a team of three partners and eight other professionals. "For several years, the three of us, Juan, Carlos and I, have worked closely and successfully. We realized that together we formed a high power team that fostered organic growth and a solid roster of both international and national clients in various industries. Therefore, forming our own firm was the next logical step for us.” commented Alfonso García-Mingo. The team’s main expertise relates to mergers & acquisitions, corporate, commercial and labor and employment law matters. It has extensive experience in several industries, such as financial, real estate, mining, industrial manufacturing, healthcare, automotive, retail, chemicals and paper, among others. With over 29 years’ experience counseling and representing clients on mergers and acquisition, corporate and commercial law, Mr. García-Mingo represents several foreign and domestic private equity firms and leading companies. He advises on matters related to acquisitions, reorganizations, secured financing, joint ventures and distribution arrangements. In addition, García-Mingo is highly experienced in business, lending, mining, tax, foreign investment and labor law. Juan Tejedo has more than 25 years’ experience representing and advising multinational companies on labor and employment related matters, such as the hiring and termination of employees, transfer of employees as consequence of asset-based acquisitions and mergers, as well as labor audits implemented by labor authorities. He advises in connection with labor claims initiated by employees and derived from unlawful terminations or rescissions of labor relations. Tejedo has broad experience in the negotiation of collective bargaining agreements, as well as in the management of strike calls and collective claims filed by unions. Carlos Acle Aquique has focused his expertise in both international and national business transactions. He specializes on matters related to mergers and acquisitions, corporate and commercial matters. Acle Aquique’s clients include multinational companies, private equity funds in regards to mergers & acquisition deals involving several jurisdictions. In addition, he advises in connection to regulatory matters related to consumer protection and health issues.